Constructed in 1930, the Hackberry Creek Bridge is built of two reinforced concrete arch rings springing from and disposed between two reinforced concrete abutments. Reinforced concrete spandrel posts support the roadway deck with additional reinforced concrete supporting a metal pipe railing. It is located northwest of Jetmore. It was nominated as part of the "Masonry Arch Bridges of Kansas" multiple property listing for its engineering significance. 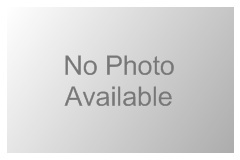 In 1879, lawyer and rancher T.S. Haun constructed the first house on the Jetmore townsite. The T.S. Haun House is a vernacular two-story, hand-hewn limestone building with a simple gable roof. 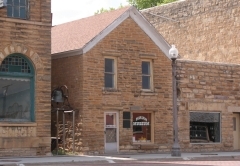 An upstairs office was used to establish the county's first newspaper and leased by county commissioners for offices and a courtroom after Haun helped establish Jetmore as the county seat. In 1882, Haun surveyed and plotted Jetmore on land that was part of his original claim designating sites for the courthouse, school, and two churches. Haun also donated land to be auctioned to raise funds for the construction of the courthouse. In addition, Haun served a term as county attorney and was elected to the state legislature in 1887. The house was nominated for its contribution to the development of Jetmore and for its connection to T.S. Haun. The Hodgeman County Courthouse, constructed in 1929, is a three-and-one-half-story building of gray brick and gray Carthage granite with white stone trim. It reflects the Second Renaissance Revival style and is situated in the center of the public square. Designed by Routledge and Hertz Architects and Builders of Hutchinson it replaced an 1886 limestone structure. It was nominated as part of the "County Courthouses of Kansas" multiple property listing for its association with the growth and development of the county and for its architecture. 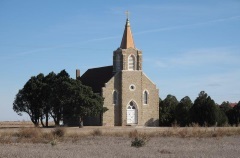 A group of Irish-born settlers erected St. Mary's Catholic Church in rural Hodgeman County in 1904. The parishioners had attended the German St. Joseph Catholic Church located five miles south, but in 1903 a dispute arose between the German and Irish members in regard to a proposed location for a new church building. The Irish members wished to have the new location two miles north, but an agreement could not be made. As a result, the congregation split. St. Mary's church suffered a devastating fire on January 1, 1928, leaving only the exterior walls to be salvaged. The parishioners hired builder Joseph Sebacher to rebuild the church with plans drafted by Emporia-based architects Henry W. Brinkman and Stanley Hagan. This same team had just completed a new building for St. Joseph in nearby Offerle. St. Marys church closed its doors in 1997. The small church features a stone exterior, Gothic-arch windows, a red tile gable roof, and a center bell tower. It was nominated for its local significance in the area of architecture.